Color Me ____ is a cool modern art exhibit created by Andrew Neyer and Andy J. Miller at the Indianapolis Museum of Contemporary Art where they asked you to fill in the blanks. 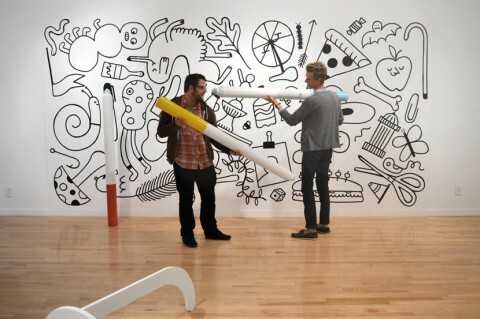 The artists created huge illustrations in a room accompanied by enormous 5.5′ paint markers, as a way to have the public interact and collaborate with them to produce the finished element. Now this is art. Very wonderful idea. 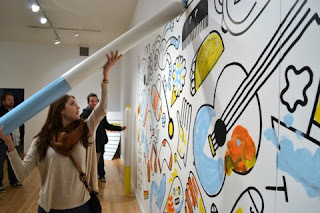 This is a good way for people to bring out their creative side and express it here in wall.